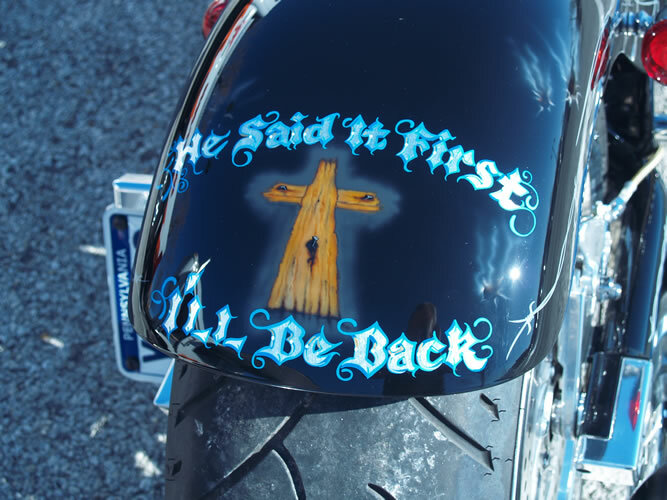 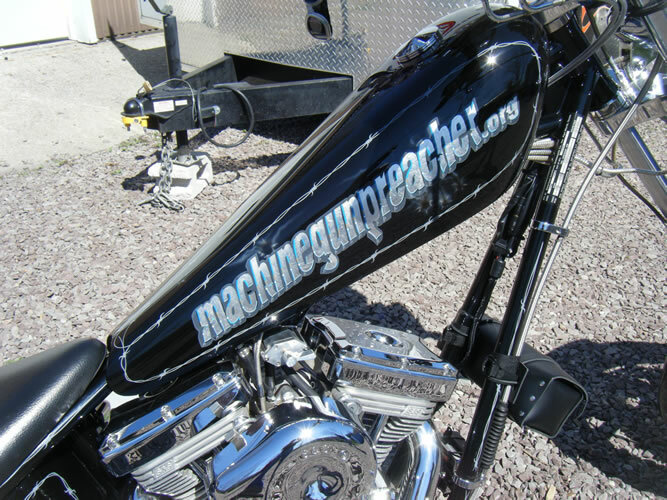 The Paint Chop just finished painting this bike for the Machine Gun Preacher tour starting April 2009 in Hollywood. 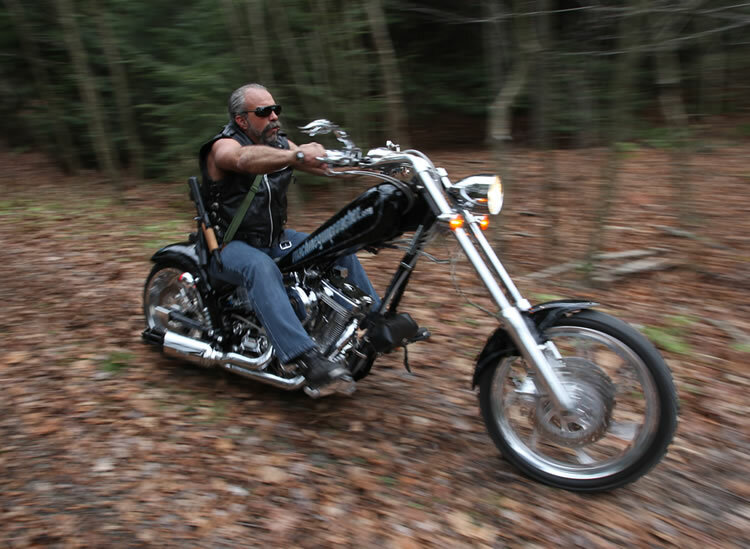 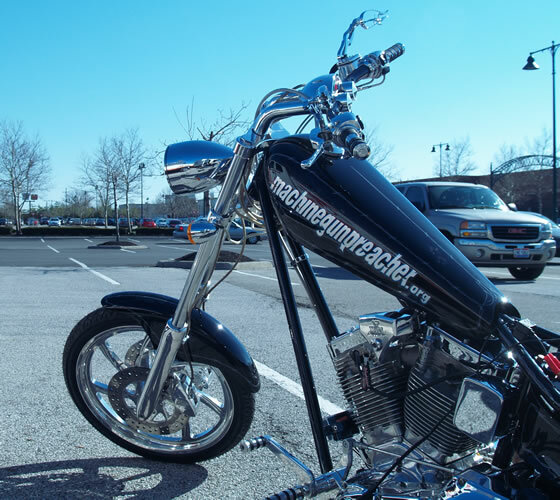 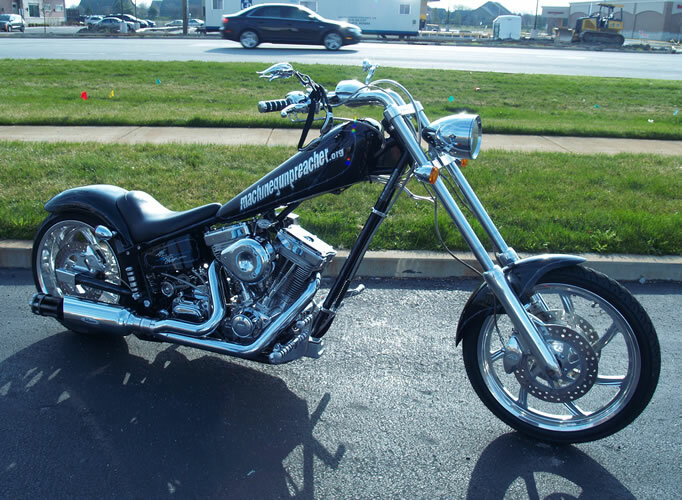 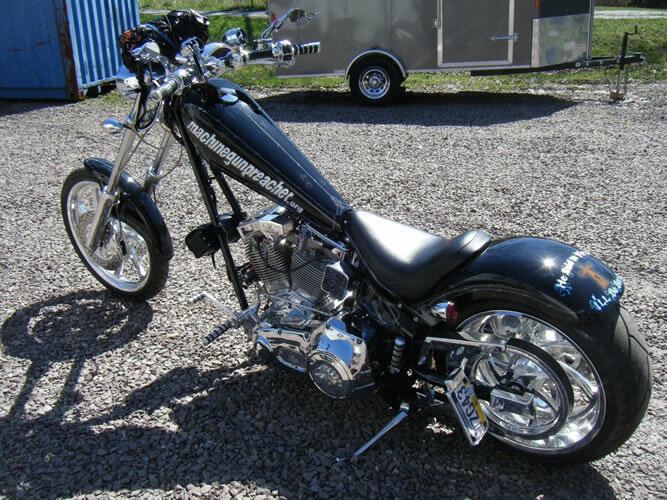 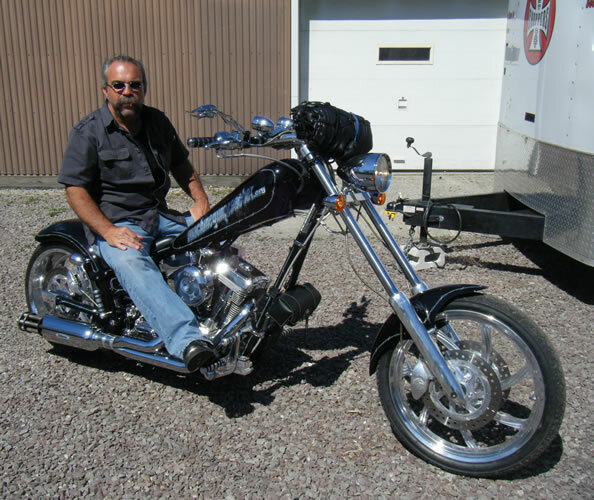 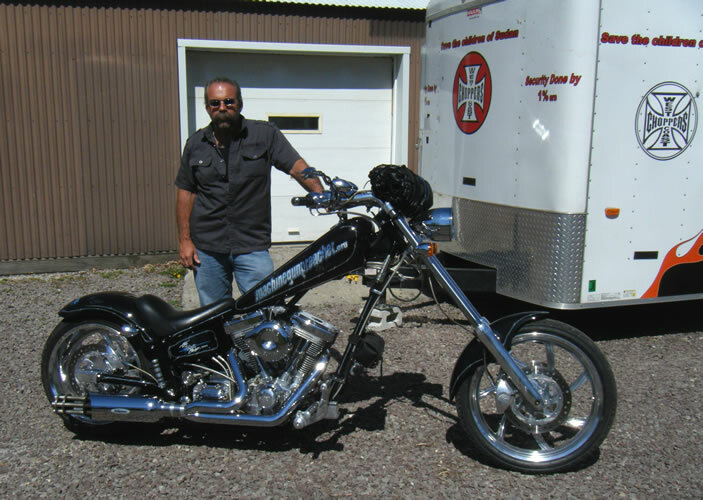 Featured with the Angels of East Africa bike built by Jesse James and West Coast Choppers. 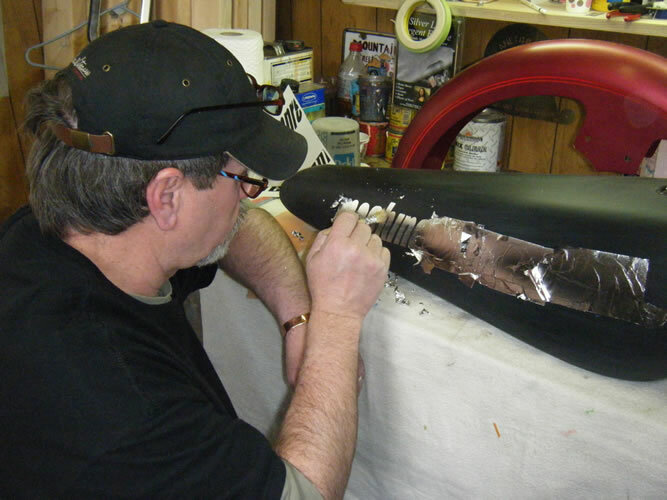 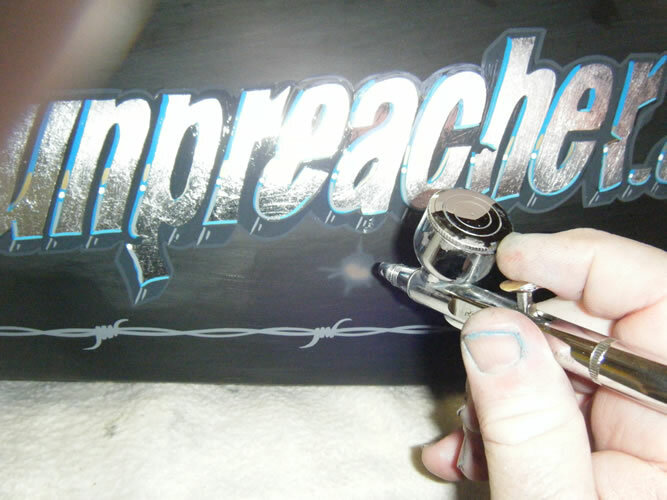 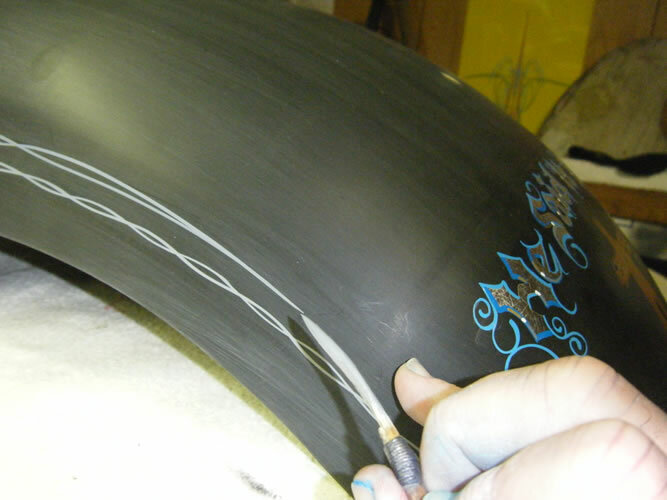 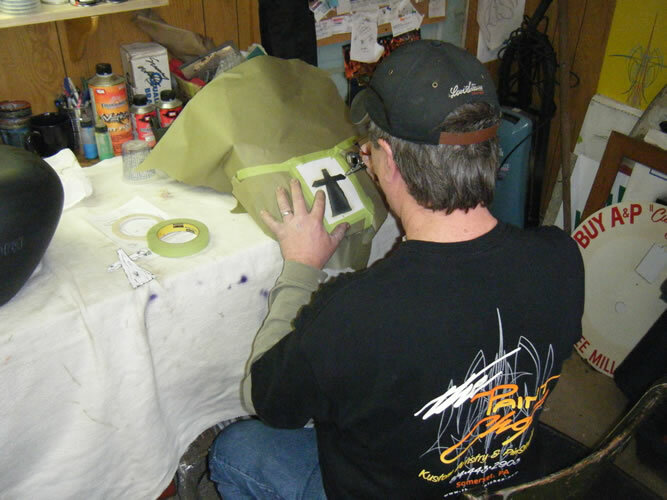 Casey Kennell painting the Machine Gun Preacher bike. 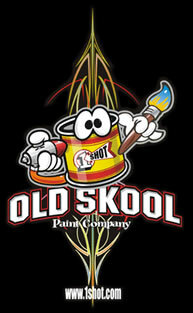 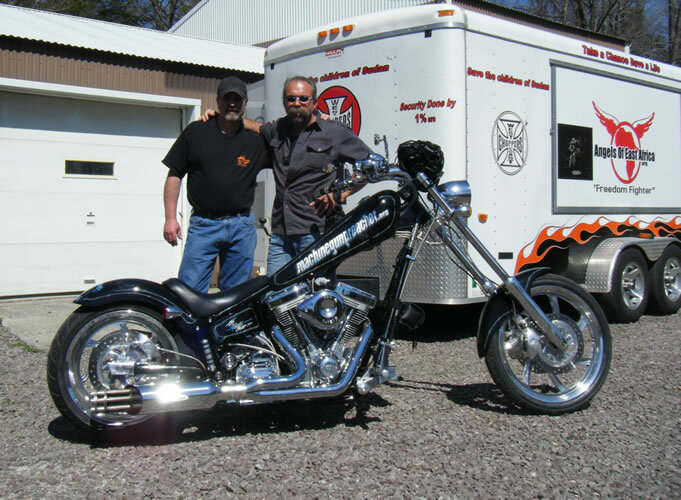 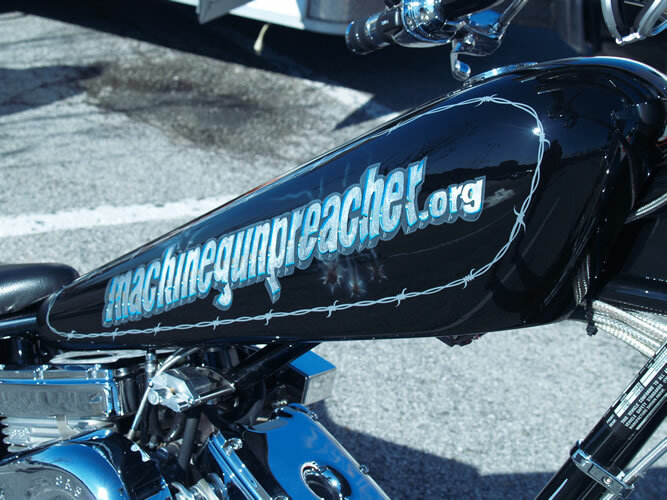 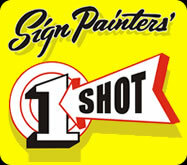 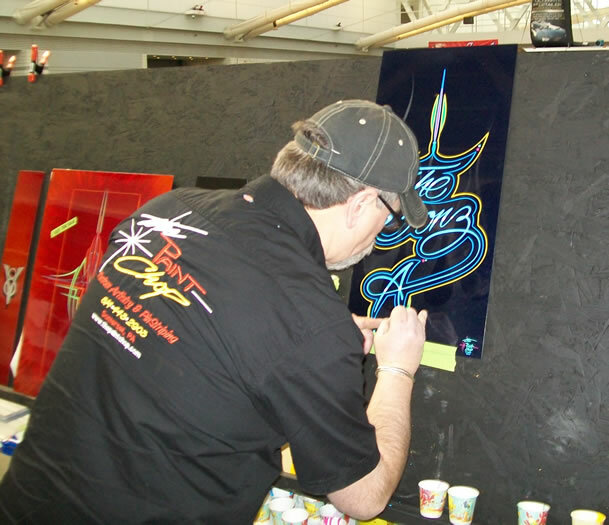 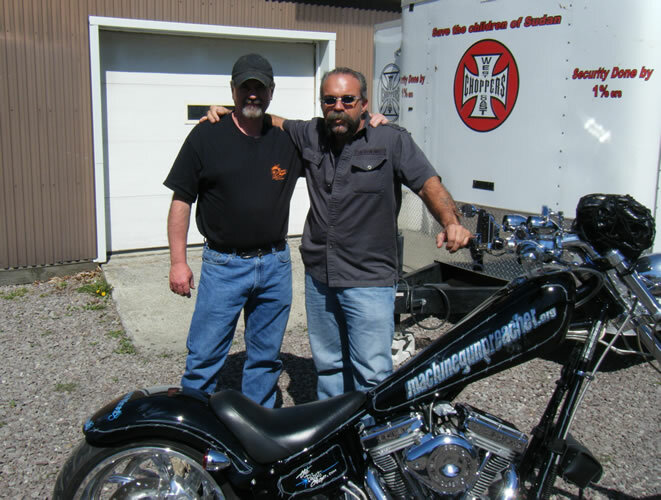 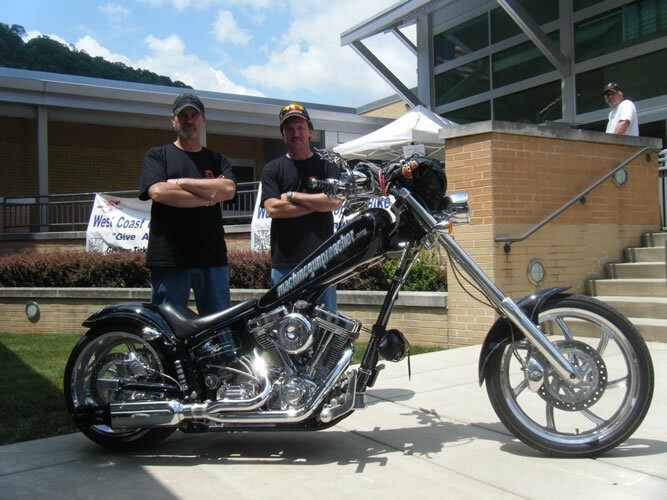 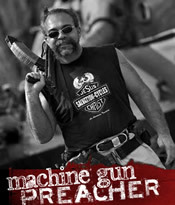 The Paint Chop donated the custom paint for the Machine Gun Preacher tour.